Peppermint dough and mint chocolate swirls or peppermint glaze - or both! 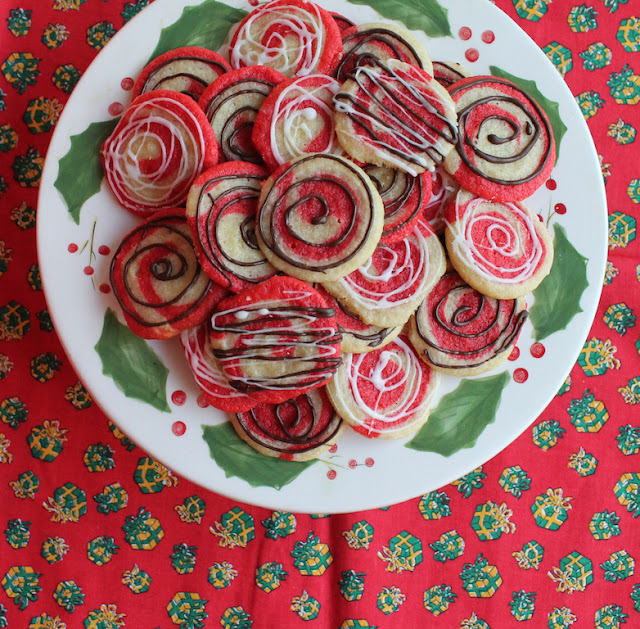 - make these pretty peppermint pinwheel cookies. 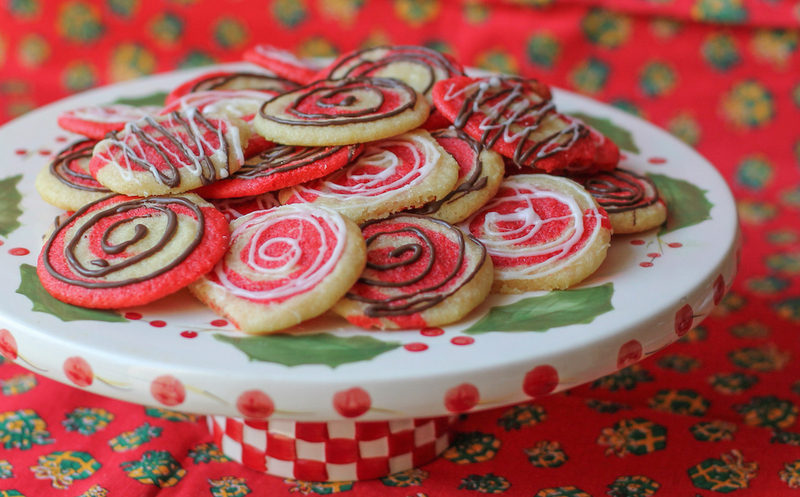 They are perfect for your Christmas table or cookie exchange. It wouldn't be Christmas without some cookies, right? And peppermint is an essential Christmas flavoring so I decided to put those two things together! 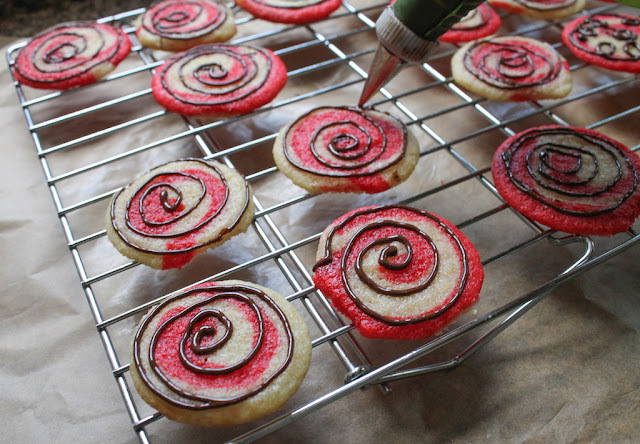 These peppermint pinwheel cookies are actually quite easy to make, although there is some waiting while the dough firms up, (See note below.) so do plan accordingly. They are the perfect size for popping in your mouth every time you pass the cookie plate but since the recipe makes 5 dozen, that shouldn't create a problem. 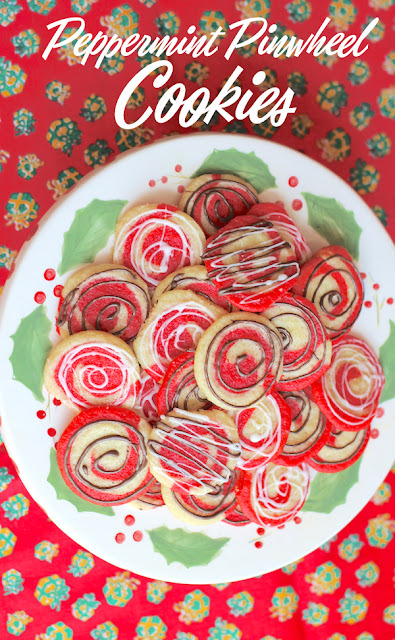 With mint glaze and melted chocolate drizzled on them, they are sure to be everyone's new favorite Christmas cookie. Note: Like any cookie dough that needs to be rolled out before cutting, the process will be easier if your dough has time to chill in the refrigerator. 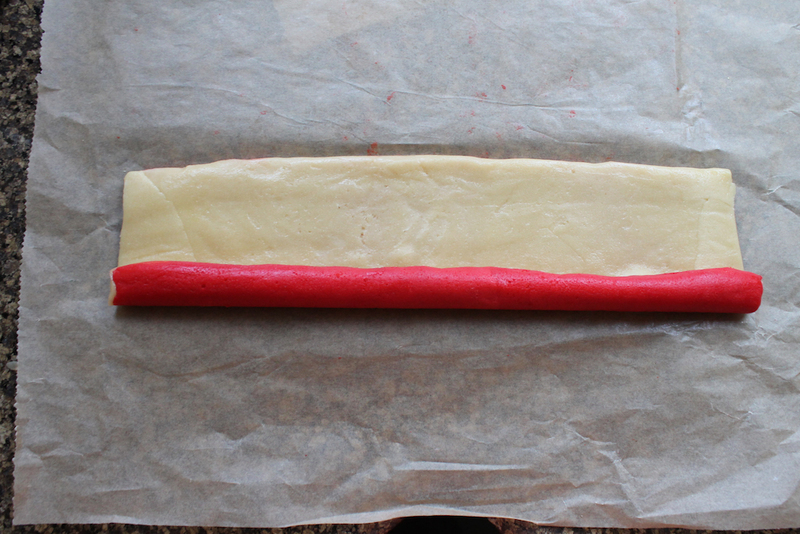 Plan on at least an hour of chilling time before rolling it out and four hours in the freezer before baking. 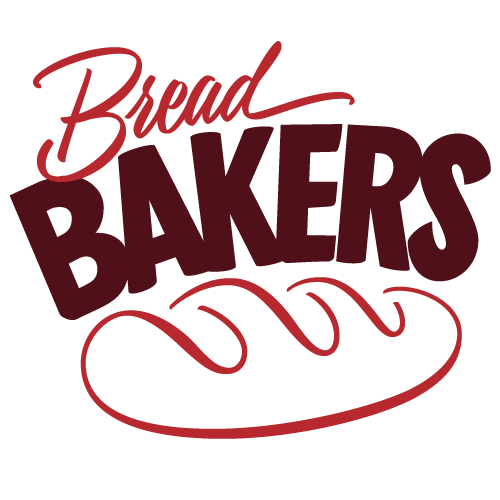 Or make the dough a day or two before you plan to bake. It will keep beautifully, well-wrapped in cling film in your freezer. These peppermint pinwheel cookies are adapted from this filled cookie recipe on My Recipes. 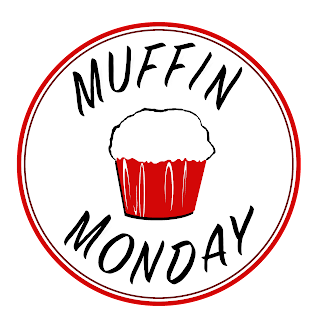 Cream the butter and sugar together with your electric mixer, beating until light and fluffy. Scrape the bowl down with a rubber spatula then add the egg and vanilla, beating until blended, scraping bowl again as needed. In a separate bowl, sift together the flour, baking soda, and salt. 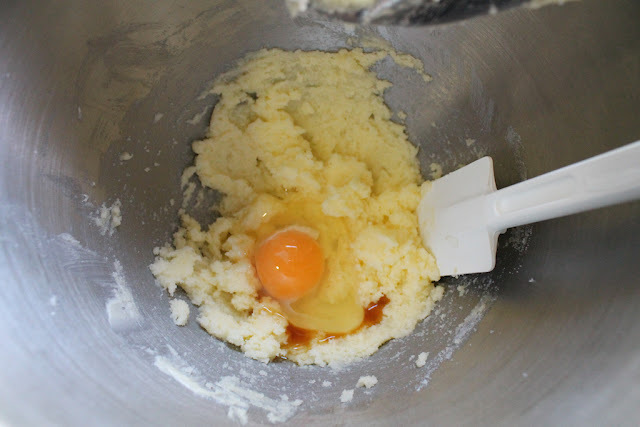 Gradually add the flour mixture to the butter mixture, beating at a low speed until blended. Set aside half of the dough. (Mine weighed 598g so I took out 299g. Scale users unite!) If you don't have a kitchen scale, eyeball it. Knead food coloring paste into remaining portion of dough while wearing rubber gloves or, if you are so fortunate, use the K-beater in your stand mixer to combine the two. Cover the dough with cling film and chill for at least one hour. 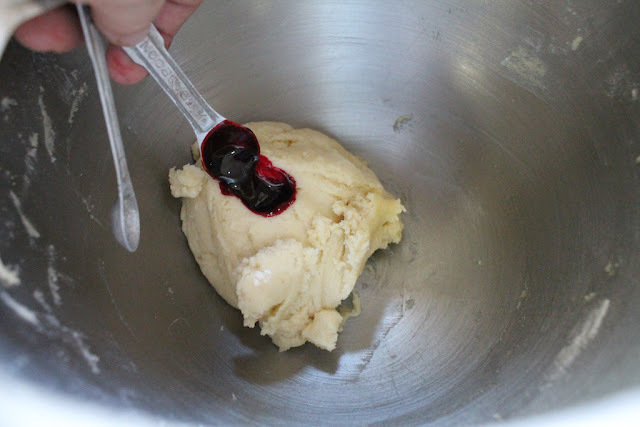 Knead the mint extract into the other half of the dough, or once again, use your stand mixer to combine the two. 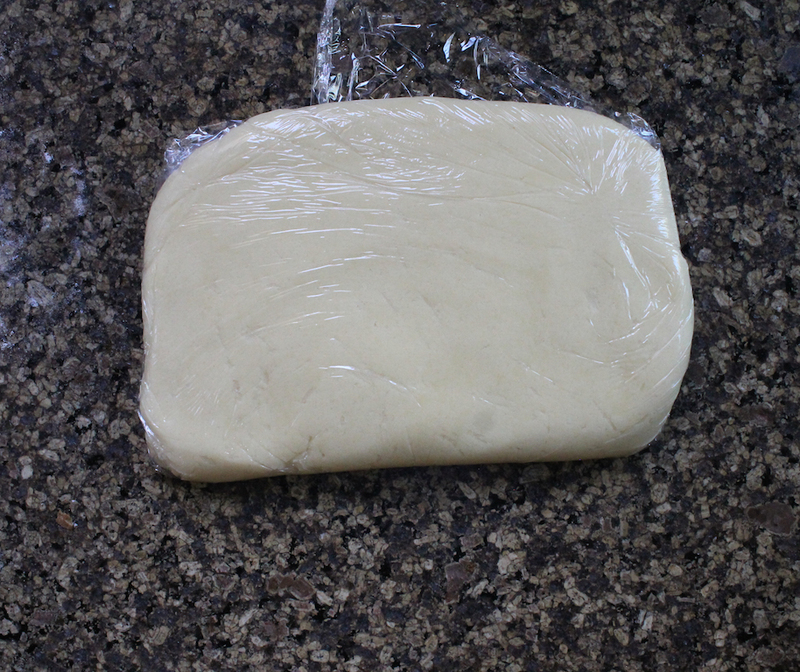 Cover the dough with cling film and chill for at least one hour. Once chilled, roll each half into a 12- x 8-inch or 31x20cm rectangle between two pieces of baking parchment or waxed paper. Check out this great video from Crazy For Crust, to see how to do it. Just stop before you start cutting out cookies. Once you have them rolled out, trim the rounded edges and neaten up your rectangles with a sharp knife. Put the parchment or wax paper back on top and use your rolling pin and very little pressure to stick those pieces to the bigger piece again. 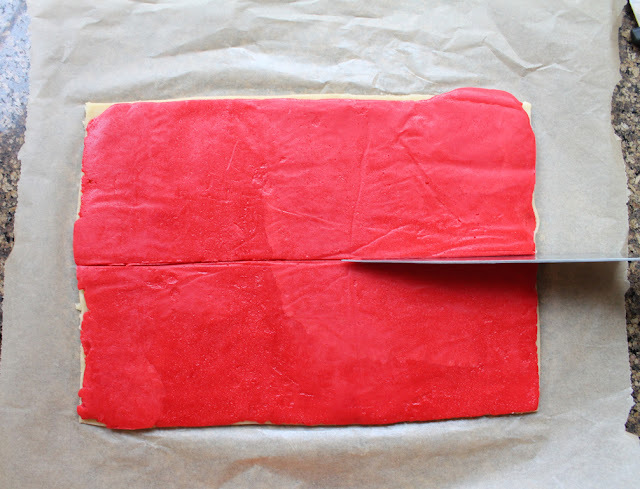 Peel one side of the parchment or wax paper off of each rectangle and lay one rectangle of dough on top of the other and press down gently so they stick together. Peel the paper off the top. 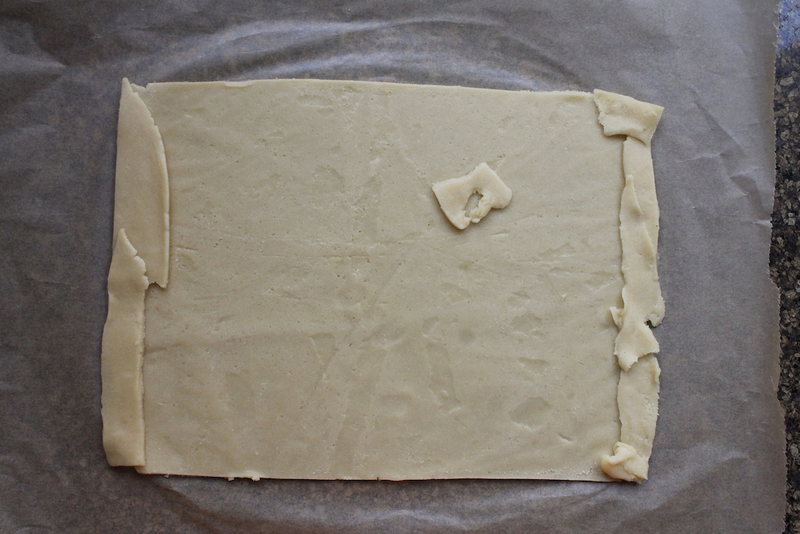 Save the parchment paper because you can use it again for wrapping the dough and then baking. Cut the double rectangle in half lengthwise to create two long equal rectangles. I decided to roll one half up with the peppermint dough on the inside and one with the red dough on the inside, so I flipped one over, but you can make them all one way or the other. 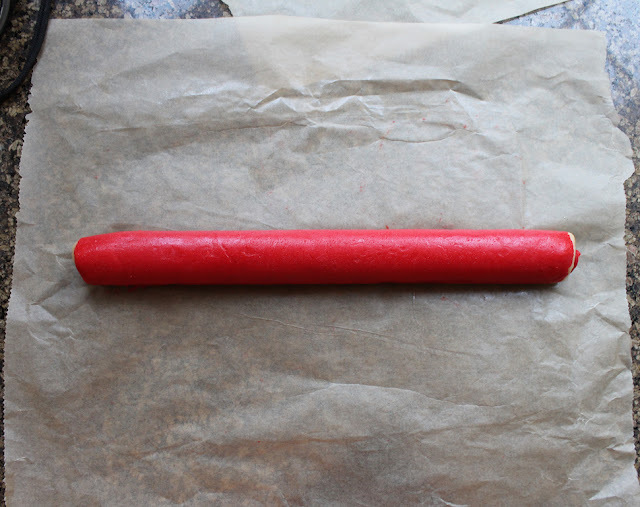 Use a piece of the parchment or some cling wrap to help you roll the two dough rectangles up tightly, from the long end, so you end up with two long skinny tubes. 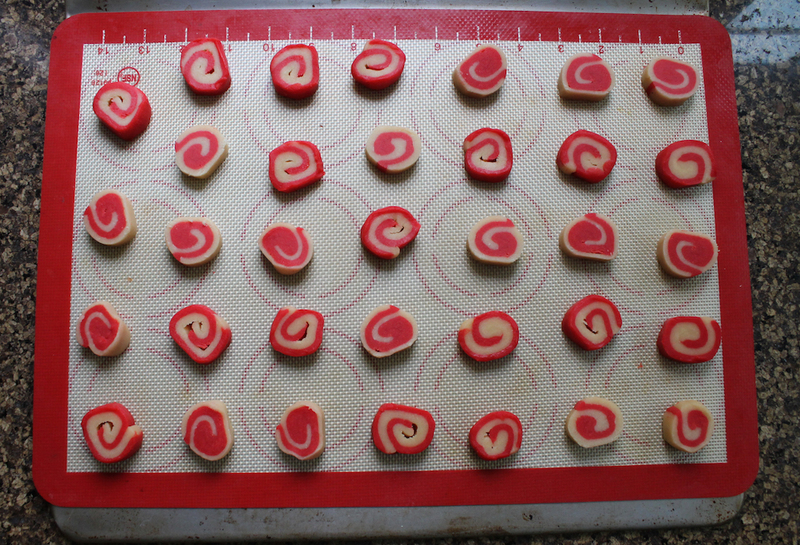 Wrap these again in parchment or cling film and freeze for several hours. When you are ready to bake, preheat your oven to 350°F or 180°C and prepare a couple of cookie sheets by lining them with baking parchment or silicone mats. 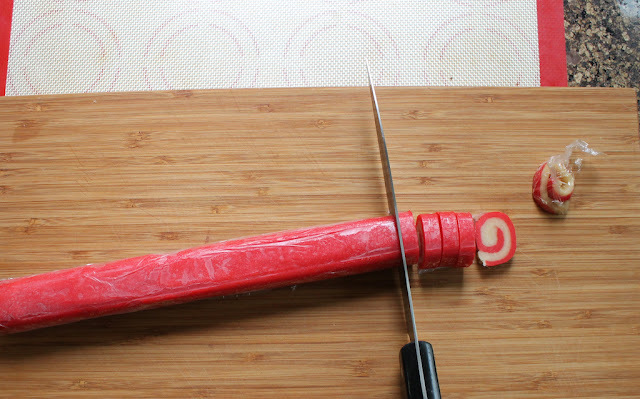 Cut the rough ends off of one log, leaving the other in the freezer, then slice the log into circles. 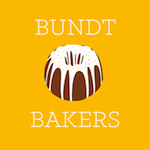 Depending on where you stand on the subject of eating raw egg (and now flour!) 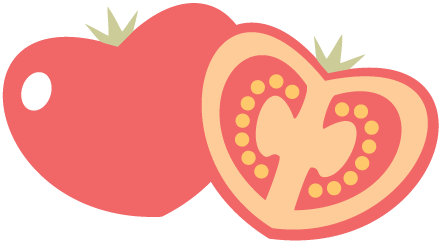 you can discard the ends or eat them. Place them on the prepared cookie sheets with a couple of inches or at least five centimeters between them. As you will see, mine were too close so many of them spread out enough to join together. Bake for 7-8 minutes or until puffed and set. 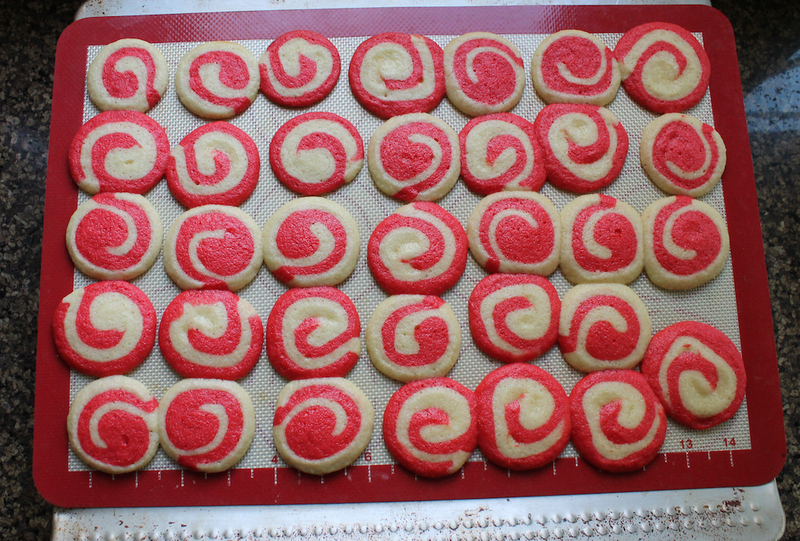 Cool cookies on baking sheets for several minutes and then remove to wire racks to cool completely. Repeat with the other dough log until all the cookies are baked and cooled. Mix up the glaze ingredients and set aside. When you are ready to decorate, put the glaze in a plastic bag and cut off a very small corner so you can pipe the glaze onto the cookies. Or melt the mint chocolate in a microwaveable vessel, 15-second zaps at a time, stirring well between each zap. Use a piping bag to drizzle on the chocolate. You can use a plastic bag for the chocolate as well but I find the proper piping bags are easier to handle with warm chocolate. This week my Sunday Supper friends are sharing their favorite cookie recipes for Christmas. There are so many I'd like to try! Check out the list below. Rainbow Biscotti Cubes by What Smells So Good?